There’s nothing better than cold, fresh draught beer poured straight from the tap. Except cold, fresh draught beer poured straight from the personal tap system in your fridge. 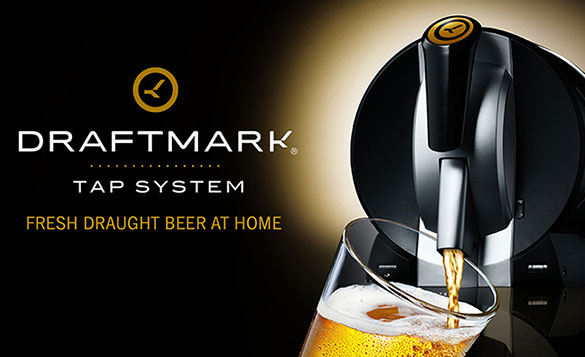 The Draftmark tap system is an entirely new way to enjoy the experience of your favorite draught beers, right from your personal draught system. Just place the home draught system in your fridge, insert a 3.8 liter (128 oz.) refill bottle of great-tasting varieties like Budweiser, Shock Top Belgian White, Goose Island Honker’s Ale, Michelob Amber Bock or Bass Pale Ale and always have a chilled, relaxed evening on tap. Congrats — your house just became a home. Contrary to urban beer legend, foam in your beer isn’t bad. At least two fingers of foam allows you to smell the beer’s aroma and releases the CO2, so it’s less filling. The first pour from a Draftmark refill typically produces the most foam, so try pouring the first few ounces in a separate glass, set it aside for later, then follow the steps above to achieve the Perfect Pour. “We would never make a product that we would not give to our children.” Nearly one hundred years later, having gone from a small shop in Athens to distributing their famed yogurt worldwide, that motto remains as true today as it did on the very first day of business. 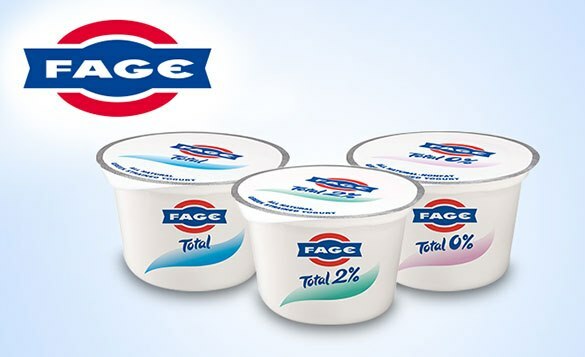 Like the family motto they hold dear, FAGE Total continues to follow the original recipe, which includes only two or three ingredients; milk and live active cultures or milk, live active cultures and cream. What’s included in FAGE Total is as important as what’s missing: no sweeteners, no thickeners and no powders. This approach of fresh ingredients and simple preparation, in combination with its extraordinary taste and creamy texture has made FAGE Total the number one brand of yogurt in Greece. The rich texture and full taste of FAGE Total makes it an incredibly versatile ingredient to have in your kitchen. Add fresh fruit for a perfect mid-day snack or a dash of honey for an indulgent dessert. FAGE Total is low in calories and fat, making it a perfect substitute for cream, mayonnaise and sour cream in many dishes. Because it is rich in protein, FAGE Total is easy to enjoy at any time of day as a healthy part of your daily diet. 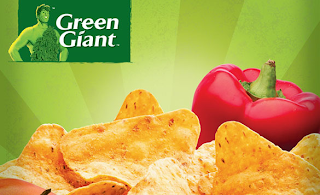 Visithttp://www.fageusa.com/recipes/ for a variety of exciting ways to incorporate FAGE Total into your diet. And don’t forget to participate in the Plain Kitchen Challenge with Bobby Flay! 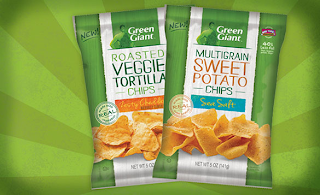 *Green Giant™ Multigrain Sweet Potato Chips (6g per 28g serving) have 40 percent less fat than regular potato chips (10g per 28g serving). Women know — fine hair isn’t all that fine when it’s falling flat. And almost every hair type could benefit from some texture and lift. 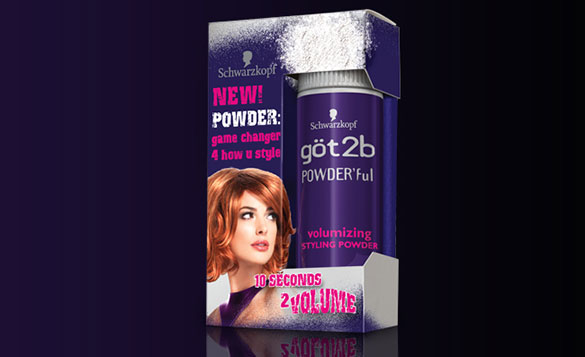 Thankfully, göt2b POWDER’ful was created with your hair’s best interests in mind. 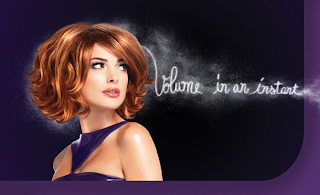 The innovative volumizing styling powder instantly takes hair to new heights, delivering pronounced volume, radical root lift, amazing texture and flexible control. All in just 10 seconds! 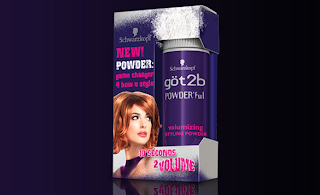 Formulated with virtually weightless micro-particles, this salon-quality powder texturizes the surface of your hair, creating maximum volume at your roots. 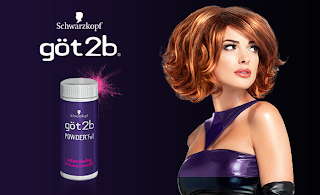 There’s no powdery residue or stiffness, just the freedom to create modern, edgy ‘dos with an undeniable wow factor. Apply anytime, anywhere for an immediate transformation Hello hair envy!